Joki Johanneskirchen is conveniently reached by public transportation (S8 Train Stop) while still being in the quiet setting of the ground and first floor in the courtyard of a small office and business complex with a pharmacy, bakery, etc. Allgroup- and sleeping rooms are facing the back of the building, all with a view of the mature trees that surround our generous green space of ca. 1000qm. The playground with toys suitable for young children and sandboxes is used exclusively by Joki. 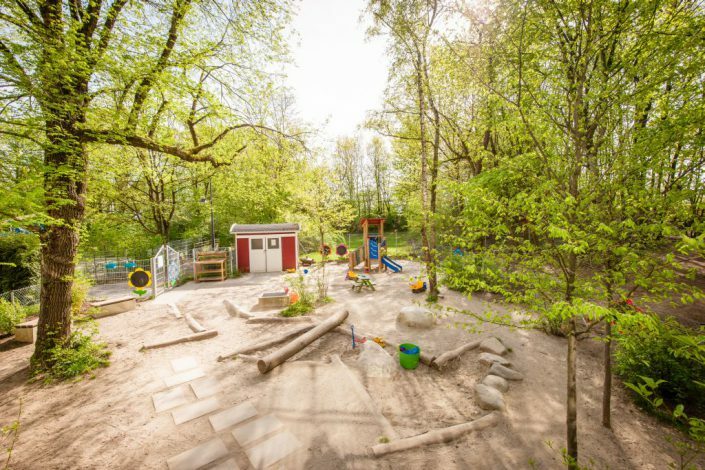 The children, under supervision, can experience nature first hand in our adventure forrest. 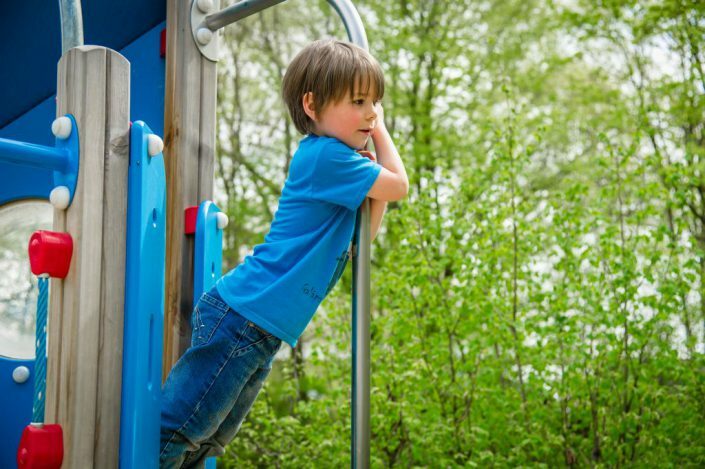 We explore the surrounding playgrounds and fields on our little trips. The tasteful decorations and large wardrobe room contribute to the special atmosphere. All rooms are modern, bright and are filled with high quality furnishings. Every group has its own group room and a separate sleeping room, which may also be used as a multi-purpose room. We also have a little gymnasium in which we play movement and dancing games. 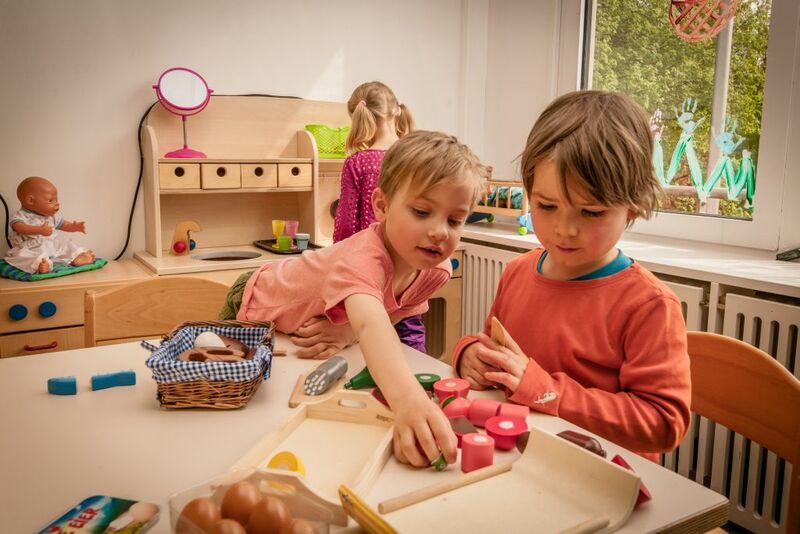 Bilingual care from the beginning: Alongside our German speaking carers, the kindergarten group will normally have an English speaking carer who will introduce the children to their language and culture through fun and games. Using the Immersion method, our native speakers speak with the children solely in their mother tongue. 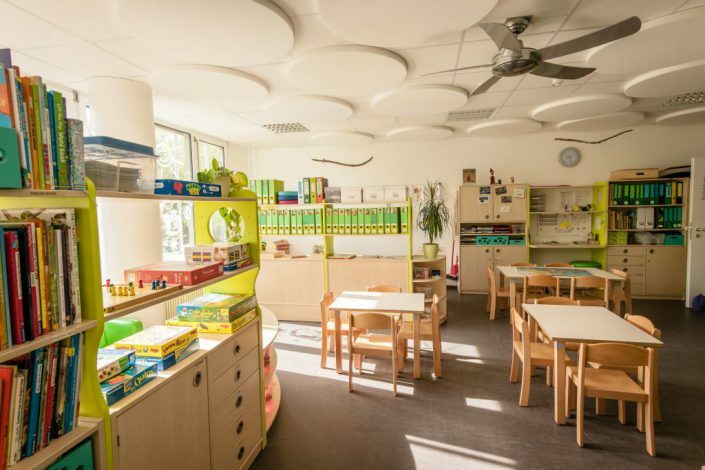 The aim is not to teach the children a language in a school-like way, but rather that they should come into contact with a foreign language, songs and games. Our cook, specially trained by Joki, prepares all meals daily so they are fresh and fitting to the ages of the children. For that reason, it is unnecessary to pack a snack for your children. The menu is adjusted for children with allergies. 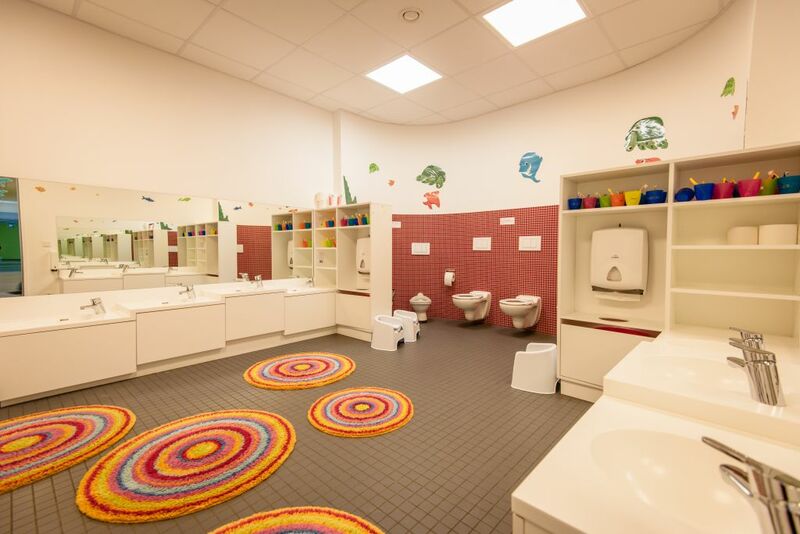 We are looking forward to welcoming your child and you at Joki Johanneskirchen! Joki offers an exceptionally high staff to child ratio. In each group 3-4 carers look after 25 children from the age of 3 until they start school. 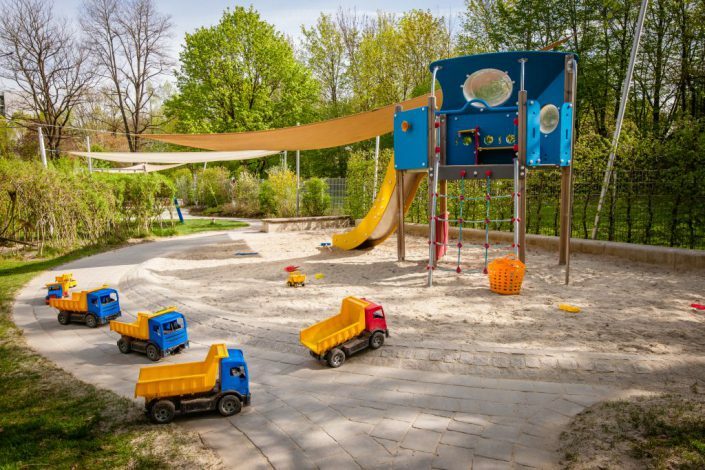 Alongside our German speaking teachers, normally an English speaking carer introduces the children to their language and culture through fun and games. Using the Immersion method, our native speakers speak with the children solely in their mother tongue. The aim is not to teach the children a language in a school-like way, but rather that they should come into contact with a foreign language, songs and games. Through this the intercultural competence of the children is encouraged, which prepares them for a globalised world. Additionally their brains will be trained according to well-founded scientific findings without any pressure of a particularly intensive form. A high mental flexibility results all the more, the earlier and more consistently the child finds itself in a multilingual environment. You can find further information at www.fmks-online.de. 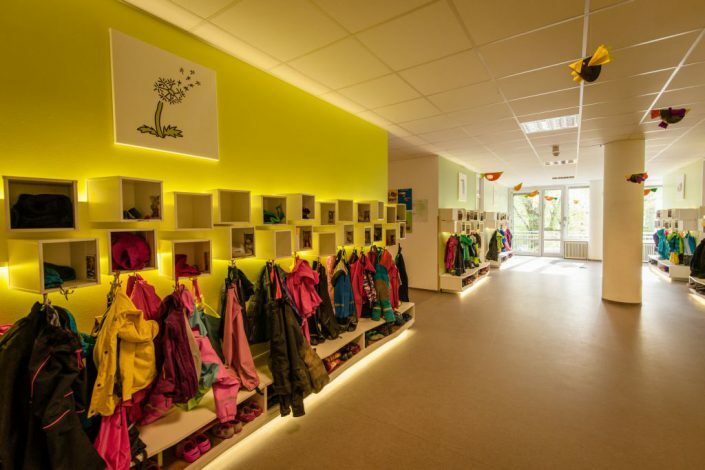 The Kindergarten is open the whole year, with the exception of five Internal Conference Days per year, the time between Christmas and Three Kings Day, and two weeks summer vacation in mid- August. Closing times will always be announced 12 months in advance. In our kindergarten we take care of children from three years old until they go to school (refer to our nursery for younger children) from 7.30am Monday to Friday. The booking options normally end at 3pm, 4pm 5pm or 6.15pm and Fridays at the latest 4.45pm. The kindergarten fees depend on which category is booked and correspond to a booking of 5 days per week. The registration fee becomes due when the contract is concluded. The registration fee is reduced to 290 € as of the second child. 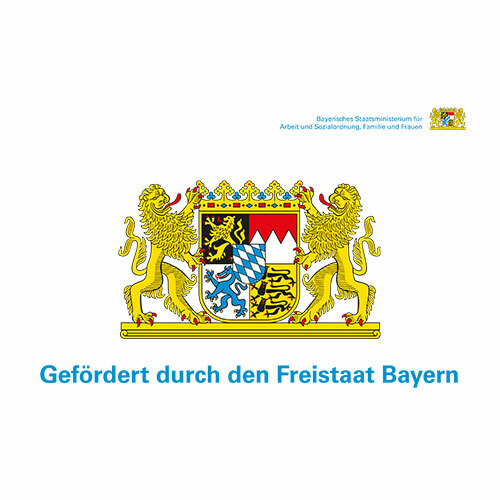 You can claim tax relief on the fees up to the set limit according to the German tax legislation. 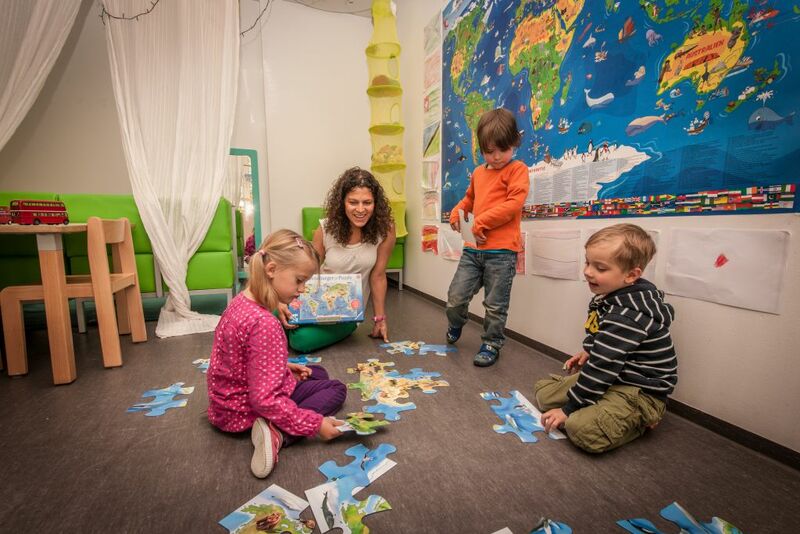 The monthly contribution is 100, – € reduced for preschoolers in the last year of kindergarten. We offer a complete service package for our working parents, holding true to our motto ‘Job and kid, a happy combination.’ If you should have any additional wishes, please let us know. 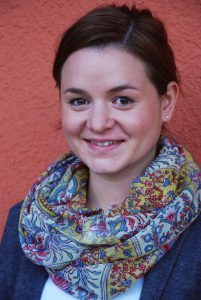 Johanneskirchen is just a ‘hop, skip and a jump’ away from Bogenhausen, Denning and Oberföhring. Effnerstrasse, Föhringer Ring and Arabellapark can be reached by car in a few minuites and Johanneskirchen train station is right on the doorstep. Own parking spaces are found in the underground car park (a key is handed out on your child`s first day). Visitors can find a place to park in Freischützstrasse. Prams, car seats and bike trailers can be left with us during the day. Secure your place at Joki now!